ObsessiveChihuahuaDisorder has had a website/blog for a long time, but I spotted this wonderfully surreal photo on their Facebook feed. Great people. This is supermodel Bebe, by the way. Click on the pic and then skate over it for annotations. 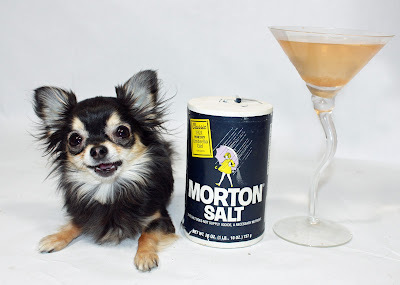 Who ordered the Salty Chihuahua? C’mon! You know you want one. Recipe at ObsessiveChihuahuaDisorder.com.